Our inroom guest book at Well House Manor contains all the information that we expect guests to commonly need - it's our "Frequenly Asked Question" (FAQ). It also includes information about what there is to see and do in Melksham and in the surrounding area. 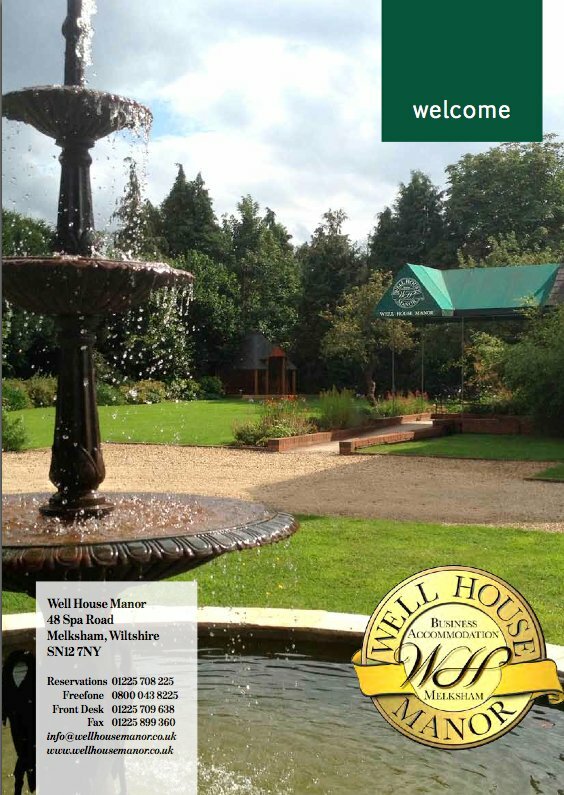 Also featured ... the story of Well House Manor, together with "before" and "after" pictures; staff profiles; room amenities; breakfast, cafá and museum; training courses; useful numbers; emergency contact details and procedures. Rooms at Well House Manor are available at £95.00 per night (double occupancy) or £85.00 per night (single occupancy), year round, including our extensive continental breakfast buffet for each guest. Call 01225 708225 for more information, email us (info@wellho.net), or visit our web site home.. Book by phone, or through our secure online booking site [here].